Kabul, Afghanistan (CNN) — Three Drug Enforcement Administration personnel were among 14 Americans killed when three helicopters went down in Afghanistan on Monday, a law enforcement source said. 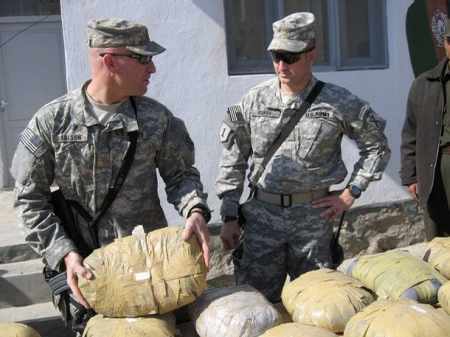 They were the first DEA personnel to be killed in Afghanistan. At least 14 Americans have been killed in a series of air crashes in Afghanistan, military officials say. 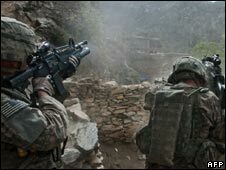 In the first incident, four US soldiers died and two were hurt when two helicopters collided mid-air in the south, Nato-led forces said. 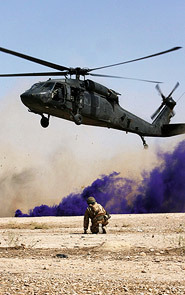 In a separate incident seven soldiers and three civilians were killed in a helicopter crash in the west. Hostile fire was ruled out as a cause of the collision, in which another 12 Americans and 14 Afghans were injured. No cause has yet been identified for the mid-air collision. This year has seen the highest death toll of international troops in Afghanistan since the Taliban were overthrown in 2001. There have been dozens of American soldiers among those killed. Rescue operations are under way across Afghanistan, after three helicopters crashed in a series of pre-dawn sorties, leaving at least four (Now at least 14.) US troops dead and two others seriously injured. Two helicopters collided in mid-air, in the south of the country, while a third went down under heavy fire in the west, moments after extracting soldiers from a daring night raid against one of the region’s most wanted drug smugglers. US officials said hostile fire was not involved in the mid-air collision, but they are still investigating the cause of the second crash. The soldiers injured in the collision were evacuated to military hospitals, but a rescue operation to recover casualties from the second crash was still ongoing, officials said. 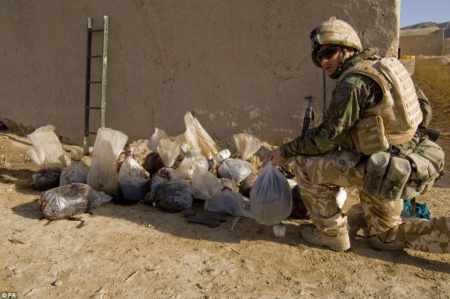 Elite US troops had launched an airborne assault against a compound in western Afghanistan, believed to “harbour insurgents” linked to Afghanistan’s multi-billion dollar opium trade. “During the operation, insurgent forces engaged the joint force and more than a dozen enemy fighters were killed in the ensuing fire fight,” a military spokesman said. Details of the units and the types of helicopters involved have been withheld until the rescue operations are complete. Both southern and western Afghanistan have seen a surge of US troops. 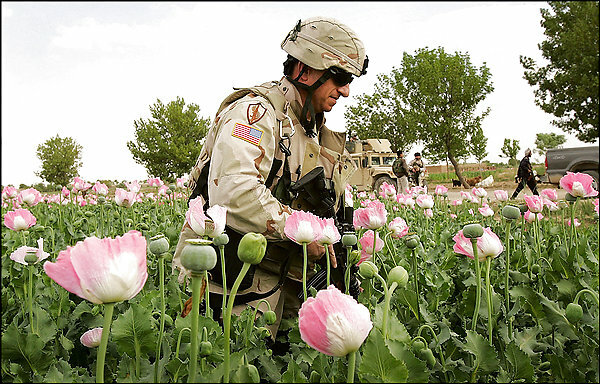 Instabilty and war are the primary factors responsible for increased opium production in Afghanistan. Before the Soviet invasion, and during the brief rule of the Taliban, opium production was either very limited, or deliberated curtailed. Soon after the war is over, production is likely to plummet.